Daniel Wei is a senior studying Bioengineering with a minor in Computer Science. He previously served as Technology Co-Director. On the job, Daniel uses Matlab to analyze biological images and do bioinformatics. Off the job, Daniel likes to complain about Matlab and learn new languages that could be better than Matlab. Otherwise, Daniel enjoys exercising, hiking, and reading about history and technology. Moreover, he does not enjoy being confused with Dan Zhou. Qingxin Zhao is a junior in Wharton concentrating in Marketing and OPIM. She enjoys working with computers, which is what drew her to CommuniTech. In her free time, Qingxin watches TV shows online and plays various video games. Charu Jangid is currently a junior in Computer Engineering at the School of Engineering and Applied Sciences. It was her interest in the environmental repercussions of electronic waste that first drew her to CTech. Outside of CTech, she is involved with the Penn Microfinance Club, Penn Speech and Debate and the Residential Advisory Board. In her free time, Charu enjoys running, sleeping and trying to convince herself to stay away from ice-cream. Ibrahim Ayub is currently a junior pursuing a major in Computer Science and a minor in Engineering Entrepreneurship. He has been involved with CommuniTech for the past two years and enjoys helping others learn more about computers and technology. Outside of the group, he is a part of Muse Consulting and a TA for CIS110. He also enjoys playing sports and is a huge fan of all Boston teams. Go Celtics! Aisling is a sophomore studying biochemistry in the Vagelos Molecular Life Sciences program. She is going into her second year with CommuniTech, and she hopes to use her love of technology and her passion for mentoring to help increase computer basics awareness. Aisling has had past experience mentoring with the Riepe Mentors residential program, which is based at Alexander Wilson Elementary, and she currently teaches violin on the weekends with the Penn Music Mentoring Program. Outside of mentoring, Aisling also enjoys buying and making delicious things (and eating them while "doing schoolwork"). Wonah is a sophomore studying Systems Engineering. She is currently interested in environmental issues and wants to concentrate in environmental systems. She joined CommuniTech because she really liked the objective of the club. 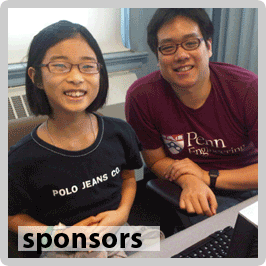 Outside of class, she's involved in Penn Reading Initiative and GCC. She likes to watch action movies and walk to Center City from time to time. Ran Chen is a junior majoring in Computer Engineering. He is a technology geek with a love of building and repairing things. His role as Technology Co-Director allows him to do just that - collect old computers, refurbish them, and then give them back to the community. Ran's hobbies include playing guitar, weight-lifting, and playing video games. My name is Brandon Cheung and I am a current sophomore in MSE, hailing from Palo Alto California. Coming from California gives me a pretty fun perspective on what it means to be green, and I'm happy to try and live up to that over here in Pennsylvania! Outside of schoolwork and electives, I enjoy getting some exercise, surfing the net, and playing piano, guitar, or ukulele - whichever suits my mood. 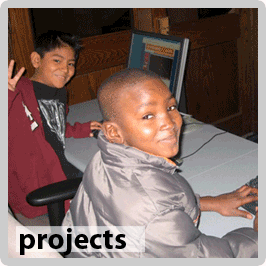 Of course, the student can expand his/her role to other technology-related initiatives. Past directors have reached out to organizations for donations and organized tech talks. General Board members play a large role in CommuniTech. While they learn more about the organization and philosophy behind CommuniTech, they participate as leaders in many CommuniTech activities. These activities can be based on fundraising, professional collaborations and outreach, environmental awareness, local and international opportunities, advertising, and service. General Board members are also encouraged to start a service project of their own. The Executive Board provides full assistance, guidance, and resources for all CommuniTech project initiatives. Afterwards, active General Board members become Executive Board members. General Board positions are open. We do not have a cap on the number of General Board members we can have.